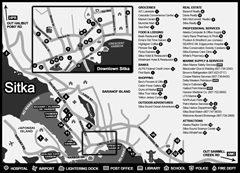 Plans continue for the re-building of Crescent Harbor, located in the center of downtown. 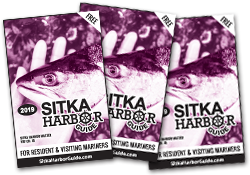 Said Sitka Harbormaster Stan Eliason, “We received $5 million from the State of Alaska (out of an anticipated $12 million).” The construction phase of the project should begin during the winter of 2019 with estimated completion by March of 2020. Eliason thinks that “We are right on track timing-wise, but (the scope of the project now covers) only re-building the timber floats, rather than the whole harbor.” Phase 2 of the project is uncertain at this point, because the impact of recent State budget cuts is unknown. Eliason would still like to see additional 40-foot boat stalls, to accommodate more 37-46 ft. commercial and pleasure cruisers. He said there is more infrastructure that needs to be replaced, but the State, so far, has not budgeted $5 million for the municipal harbor matching grant program which would be used for utility upgrades to one of Sitka’s harbors. The Harbor Dept. has several million-dollar capital projects scheduled out to the 2030’s. 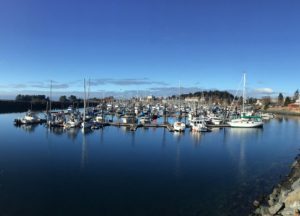 There is a budgeted 3% moorage rate increase built into the FY2020 budget but the City Assembly is “mulling that over.” The fiscal year starts July 1, and if approved, that is when the new rate would begin. Eliason speculates that “we might be looking at more substantial rate increases or the possibility of decommissioning infrastructure,” with the State cutbacks and if there is no grant funding or raw fish tax. There is, or will be, a charge for using the drive-down load dock, in addition to those for the work floats and the grid. On the positive side, Eliason notes that “cruise ship numbers are up” which overall is good for the community. For rates at the drive-down dock and work floats, please call the Harbor Dept. office at (907) 747-3439.